LeeAnna Hazel has been a piano instructor for over 20 years, teaching privately, and previously with Robinson's Music. She's taught and coached pianists of all ages and levels; many of her young students have continued their piano lesson throughout their entire school years. Ms. Hazel received her education at University of Massachusetts and Berklee College of Music, concentrating in Music Composition. Her works have been featured in various chamber music concerts, including the Contemporary Music Festival at the Rivers School. She studied with renowned pianist Lily Dumont, with whom she participated in dozens of seminars and masterclasses at the Longy School of Music and UMass-Dartmouth between 1990 and her passing in 2006. Ms. Dumont's core group of devoted students still gather for yearly reunions and performances. Ms. Hazel has been an accompanist, church organist, film scorer, choral pianist, and music director, and also presented many chamber music concerts. 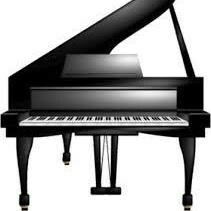 She is currently the pianist with the Metrowest Symphony. Request Lessons with LeeAnna today!